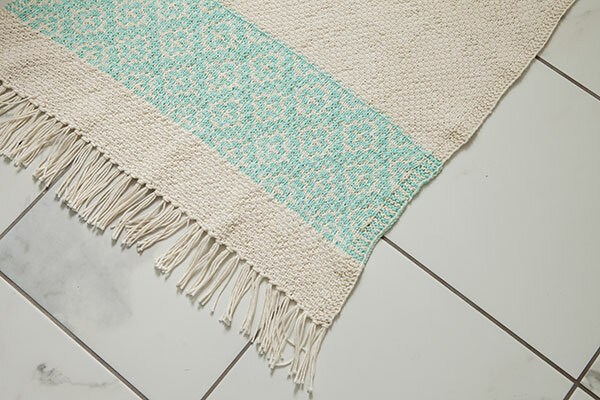 Inspired by the diamond motifs of the indigenous peoples of the American Southwest, this elegant project uses simple colorwork and clever texture to simulate a traditional woven rug. 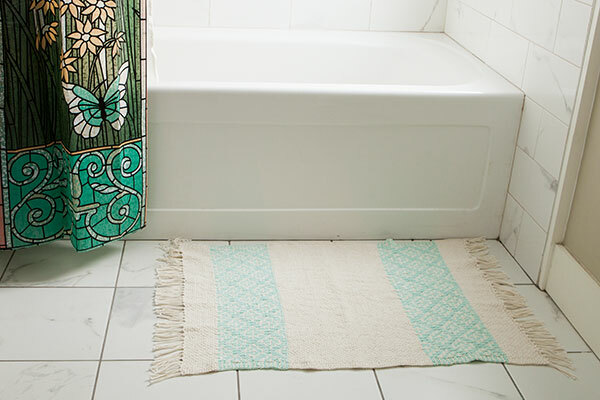 Brush Creek is a rectangular rug, worked flat from the short end in a simple slipped stitch woven pattern, with a large stripe of Mosaic colorwork on each end. No stranding is required, as no more than one color is worked at a time. This pattern includes colorwork charts.